New York Fries prides themselves on delivering perfect, hand cut fries every time you order. Try their plain fries, imaginative takes on poutine, and premium hot dogs. 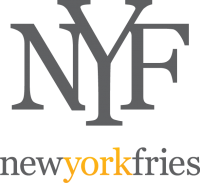 Visit New York Fries in the CF Sherway Gardens food court the next time you visit.